Did you known that any fresh, fragile and perishable product requires proper handling and specific sanitation treatments to guaranty its optimum preservation and presentation on the market, as to minimize production losses. In particular, Roses cut flowers are extremely sensitive to fungal, bacterial or pests infections as to mechanical damages. Affected flower petals creates huge rejects or clients claims, putting the production into unprofitable situation! Any roots diseases and or agro bacterium infections are responsible of at least 30% of the productivity drop. The water is vital for the plants but it also could be a vector of bacteria contamination and transfer the disease to every plant. Therefore the need for water treatment equipment in best greenhouse practices is increasing. 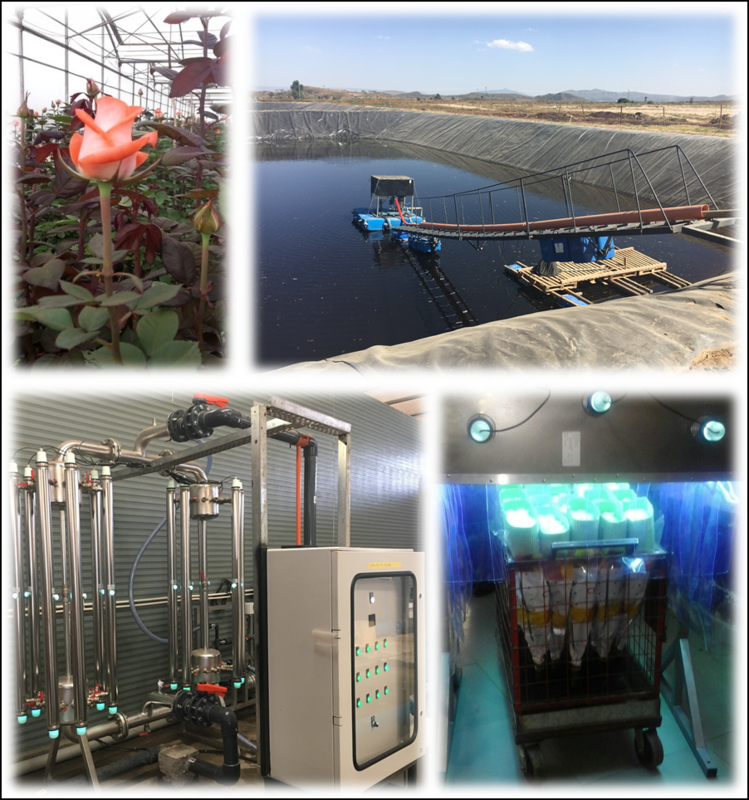 We in UVRER-ANEMO are helping our customers in horticulture to address the contamination problems in every area of the production process. We have developed a complete and adapted range of disinfection solutions for water treatment and nutritive solutions recycling, for air treatment to stop botrytis and airborne contamination in the cold rooms, for pathogens and pest disinfection before and during packing and for postharvest solution recycling. We proudly share our 30 years of experience to growers in order to support them in their high standard production and hygiene practices. Our Greentech concept has a major positive impact on flowers preservation and on the operations cost effectiveness.